Mr. Morris is HRSA's Associate Administrator for Rural Health Policy. In that role, he oversees the programmatic and policy activities of the Office of Rural Health (FORHP) with its $149 million for FY 2017 budget. In this role, Mr. Morris coordinates FORHP's analysis and response to policy issues, especially the impact of Medicare and Medicaid regulations on the rural health workforce and service delivery. As office director, he is responsible for 37 grant programs that focus on building rural health care capacity at the state and community level. Mr. Morris came to the federal government in 1996 as a Presidential Management Intern at HRSA, which led to details on a Federal Intra-Agency Telemedicine Committee, in the U.S. Senate, and at the Centers for Medicare and Medicaid Services. Morris joined FORHP full time in 1998 and has worked in several capacities there, including his prior positions as deputy director, and as policy coordinator and grants project officer. Prior to joining the government, Mr. Morris was a reporter and editor covering health care and other issues at two daily newspapers in North Carolina. 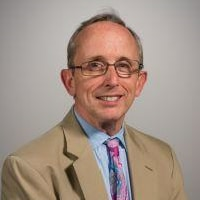 Mr. Morris received his bachelor's degree in journalism from the University of North Carolina at Chapel Hill and a master's in public administration with a concentration in community health from East Carolina University.